Just 9,761 Sun Valley “dream cars” were made and sold in ’54. It is estimated that less than 10% of the Sun Valleys survived the rigors of time. Finding one in restorable condition is increasingly difficult. Finding one in concours condition is exceedingly rare. 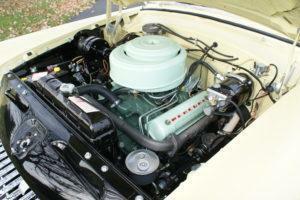 The example presented in the Ken Nagel Collection is both exceptional and exceedingly rare. 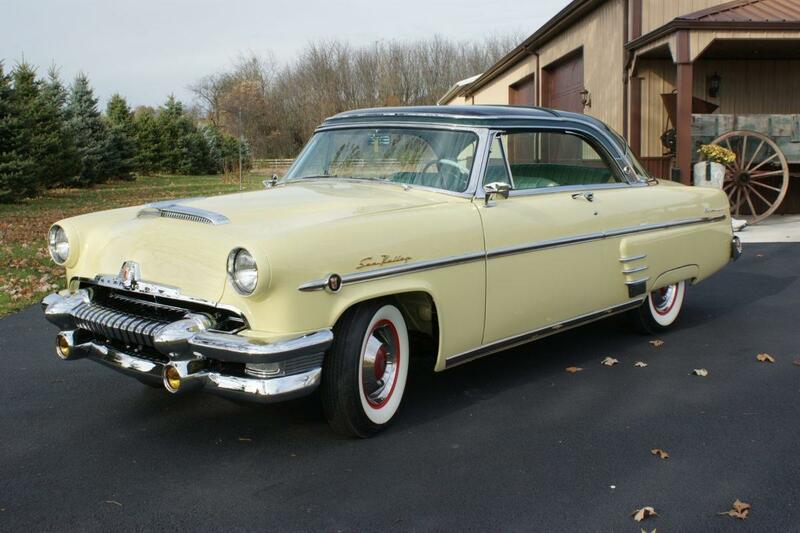 An early production vehicle scheduled to be the 249th car produced on December 19th, 1953 at the St. Louis assembly plant (located in Hazelwood, Mo the plant was shuttered in 2006 and has since been demolished). It was then shipped to a dealer in Florida. Given the condition of the car prior to restoration it is safe to assume that the woman who owned the car drove it sparingly during Florida’s hottest months. Ownership subsequently passed to the lady’s nephew. The car surfaced in Indianapolis sometime in the late 90’s. In 2004, it again appeared in California where it was acquired by Bob Kuehn of Stanton, Ne. in drivable but rough and ragged condition. After 50 years, this survivors Plexiglas roof was discolored and crazed, paint worn thin and faded, interior sun stressed cracked and faded, chrome checked and oxidized but, it was all there. Showing only superficial rust it was a prime candidate for a full nut and bolt frame off rotisserie restoration. 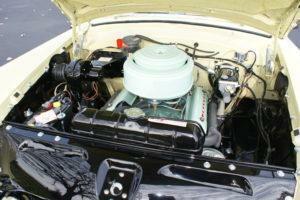 Using original and NOS parts Kuehn Auto Body completed the painstaking task in June of 2013. In December of 2013 it became part of the Ken Nagel Collection. Finished in flawless Bloomfield Green Metallic over Yosemite Yellow this Sun Valley can be described best as an “original restoration”. The numbers matching car was complete, including the turquoise and yellow vinyl front and back seats, when it was taken apart piece by piece down to the frame and put through the “production process” again. Even though the options list was short, since most equipment came standard for the “mini Lincoln”, this superlative and rare piece of automotive history leaves nothing out. 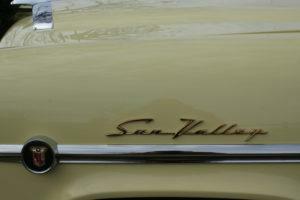 Gold “Sun Valley” script accents the front fenders just above the chrome side spear. Red painted wheels fitted with white wall tires are topped with chrome wheel covers with red centers making for a striking contrast against the pale-yellow body. The 1954 Mercury was one of the most crisply styled cars of the early 1950’s. The design was modest for the period: taut, clean, without excessive chrome, smoothly executed, and functional. They were generally exceptional cars known for their sleek styling and sound engineering, coupled with solid construction and high-quality fit and finish. The Mercury Sun Valley emerged cleaner still, especially at the extremities. Its attractive taillights, fared into the rear fenders, could easily be seen from the sides and had fluting which deflected road grime. There was even a simulated air scoop on the hood over the chromed front end. 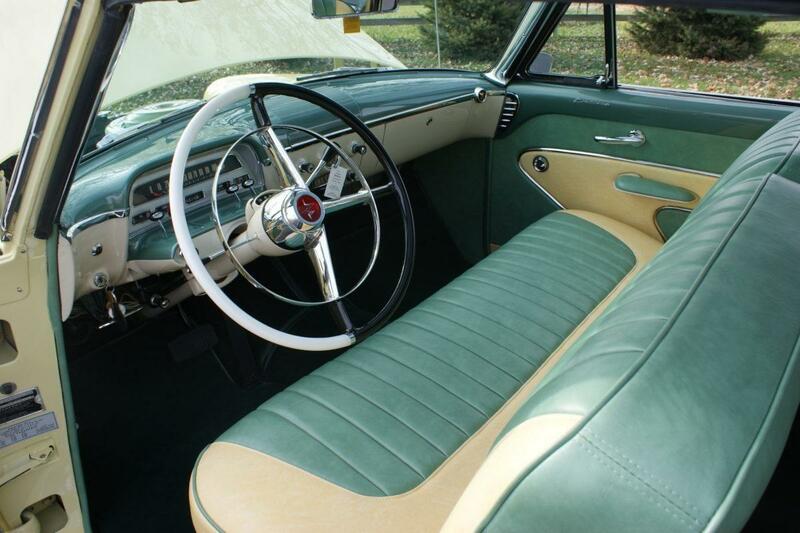 The dashboard was clean and crisp featuring a “interceptor” cluster instrument panel with a strip speedometer and chrome aircraft-like toggle lever controls. 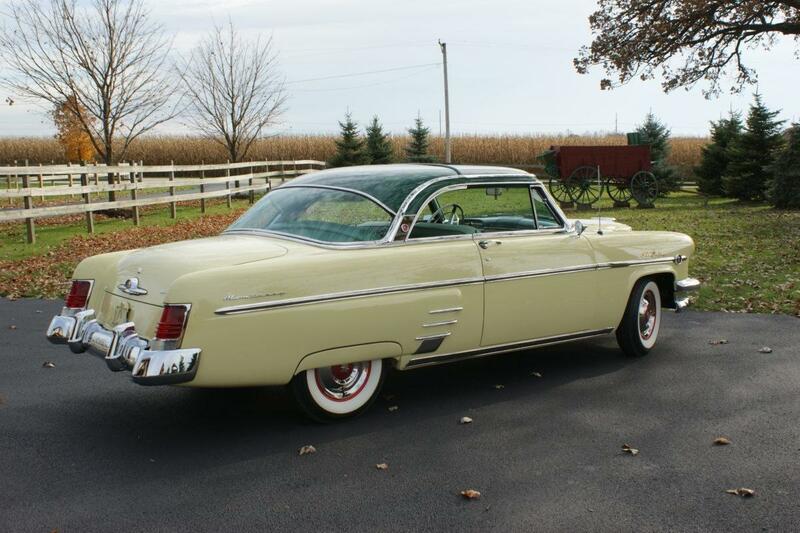 With flush body sides, sculpturing in the rear fender area and decorated with chrome faux air scoops, they still look good today and are prized by collectors. 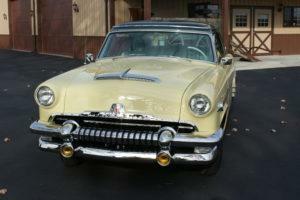 The Dream Cars of the early ’50’s incorporated all manner of futuristic design styles influenced by the coming jet age. 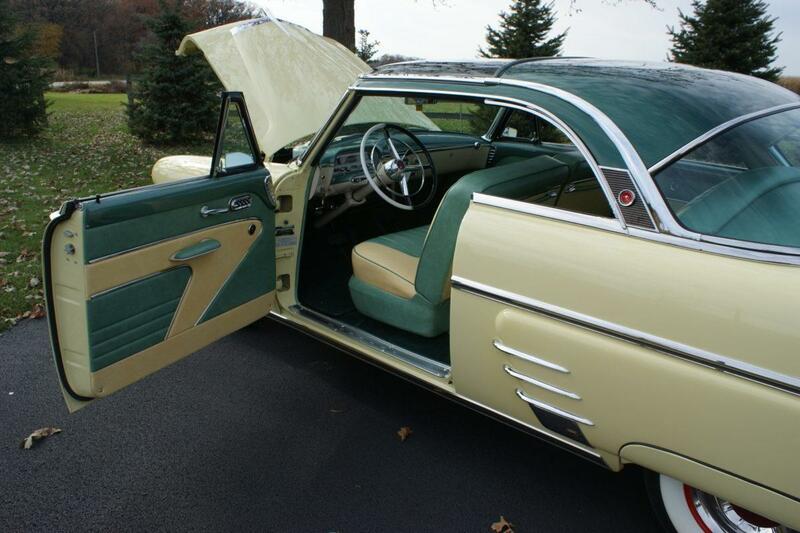 But in 1954 Dream Cars were just still dreams. 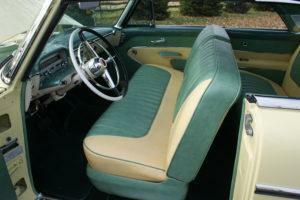 Most manufacturers were offering tastefully styled cars on the somewhat conservative side. Models were certainly more modern than their predecessors but a far cry from the “fabulous finned fifties” in the not so distant future. That is, until Mercury released the Sun Valley, the car of tomorrow today! In their 15th anniversary year Mercury unveiled the Monterey Sun Valley Hardtop model featuring a see-thru Tinted Plexiglas roof. The dream car of tomorrow was here today and it could be yours for a mere $2,582. -From a 1954 Mercury Sun Valley ad. Futuristic Dream Car styling features were often outrageous and sometimes the most unusual ended up on production models. The 1953 Lincoln XL 500 Concept exhibited at the Chicago Automobile Show March 14, 1953 featuring a clear “all glass roof…” was the inspiration for the Mercury Monterey Sun Valley. 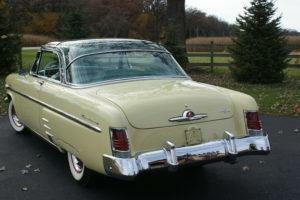 Just 8 months later the Sun Valley became the first mass-produced regular production car with a Plexiglas roof panel. (Full scale Sun Valley production got underway in November of ’53) With hardtops dominating the sporty car market it seemed like the right car to lift the image and stay ahead of the competition. What could be better, the feeling of open air top down style motoring without wind and noise. 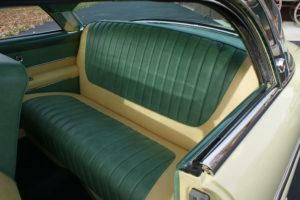 The interior, so light, airy, quiet, full of sky and the ladies needn’t worry about windblown hair. “You stop for a traffic light. You glance up through the top at the overhead signal. It turns green and you continue your pleasant journey — completely, wonderfully at ease.” It just didn’t get any better than this. 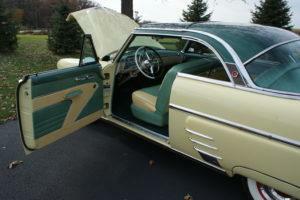 Initially the Sun Valley was offered with only two Tu-Yone color schemes, Bloomfield Green Metallic over Yosemite Yellow and Bloomfield Green Metallic over Parklane Green. Later in the year additional color schemes where added and a limited number of color coordinated vinyl and cloth and all vinyl upholstery was offered. (Note: The green colors were offered only in 1954. 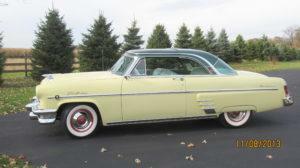 Yellow was offered in ’53 and ’54.) Interior color and trim choices were light, airy and considered a step up from previous offerings but they were far from the glitz and glitter tropical pastel’s buyers would see in the near future. 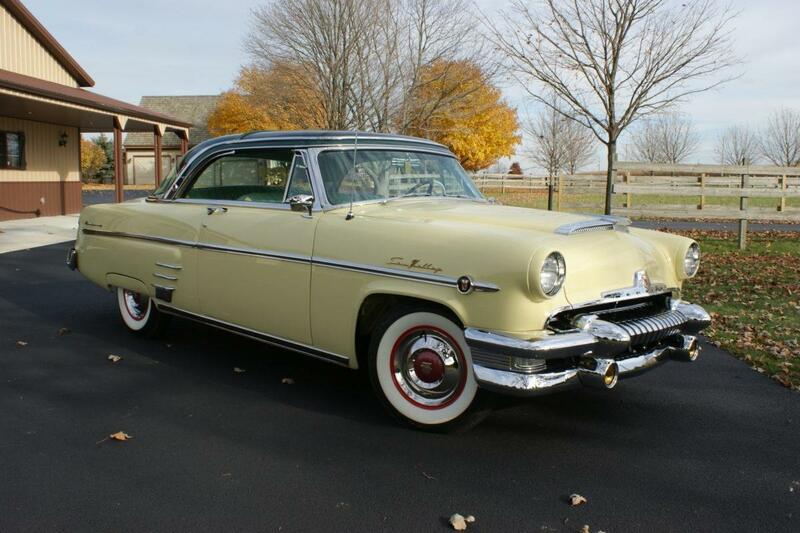 While ’54 saw the debut of the first color TV and American passenger jet, as far as automobiles were concerned, the “fabulous fifties” were yet to arrive. Undoubtedly, the crown jewel of the top of the line Mercury “Dream Car” was the military grade quarter-inch thick Plexiglas panel hovering over the very attractive exterior and interior package. 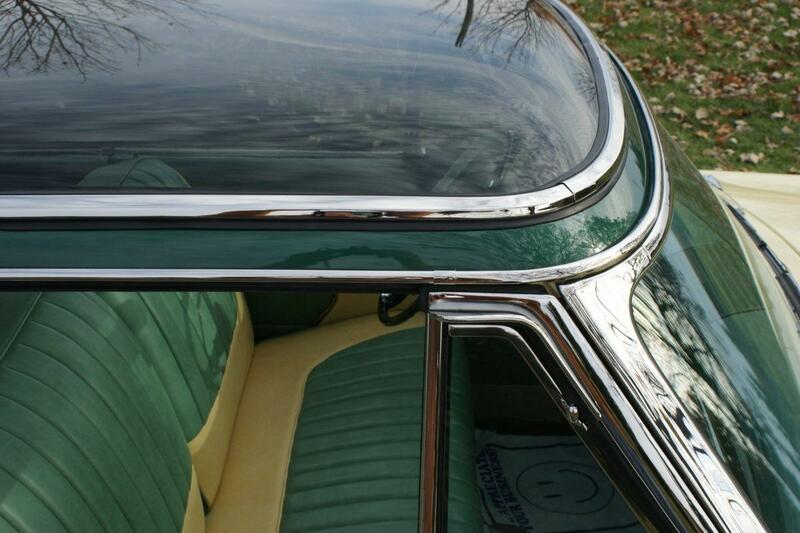 Firmly set into a rubber gasket inserted into the roof and surrounded by polished stainless steel, the transparent piece was positioned directly over the entire front seat flush with the windshield and side rails. 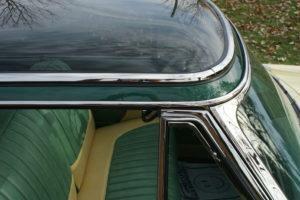 A strengthened convertible chassis provided additional structural integrity. The transparent roof, unfortunately proved to be a case of “be careful of what you wish for”. Dream cars are just that, “dreams”. Novelty styling exercises are not always practical for everyday transportation and so it was for the Sun Valley. The blue-green “sunglass” tint designed to reduce interior heat build up gave off an “eerie green glow”. Comments from Motor Trend Magazine saying; the light that filtered inside seemed “kind of weird and may cause many a young lady to check her makeup. She might as well switch to green lipstick”, were not exactly what Mercury wanted to hear! (Note: ads used non-tinted glass to show off the interior) The “Sun” part of Sun Valley was proving to be just a bit too sunny for many prospective buyers. Even though the car came equipped with a snap in shade to block out the sun and sky altogether the hothouse effect made the style innovation a lot less “cool”. Air conditioning was available in 1954 but because it was largely ineffective and expensive few Sun Valleys had it. In spite of heat tests conducted in the Arizona desert showing only a five-degree Fahrenheit temperature difference between a Sun Valley and a normal hardtop people were still skeptical. (Ask Ken and Carole how much of the controversy was true?) Nevertheless, when the novelty wore off buyers remained leery and reluctant; the Sun Valley was discontinued after 1956. Over 50 years later the view is somewhat different and the remaining Sun Valleys are highly sought after collectibles and a must have part of every ’50 collection. Without a doubt the “Dream Car” see thru roof and dark metallic green over yellow tu-tone paint were visually stunning features and naturally received most of the advertising hype. 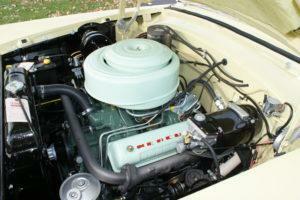 To some extent they overshadowed the spectacular technical achievements under the hood. 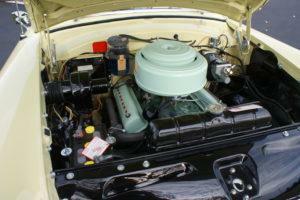 Not to be overlooked, the engine and suspension upgrades were equally if not more important to the brand. In 1954, Mercury introduced the new and advanced Y-block 256 cu in V8 engine with a five-main-bearing crankshaft and overhead-valves that cranked out a robust 161 horsepower. Its novel four-barrel carburetor featured an inlet vacuum which replaced the mechanical linkage to the two rear venturies, plus dual floats and a concentric fuel bowl. The Y-block replaced the venerable flathead V8 that had been in production since 1932. A three-speed manual was standard; overdrive and a Merc-O-Matic automatic transmission were optional. But that wasn’t all, a new first in class coil spring ball joint front suspension that required only four grease fittings was rolled out. This innovation made for more precise steering, handling and a much-improved ride. 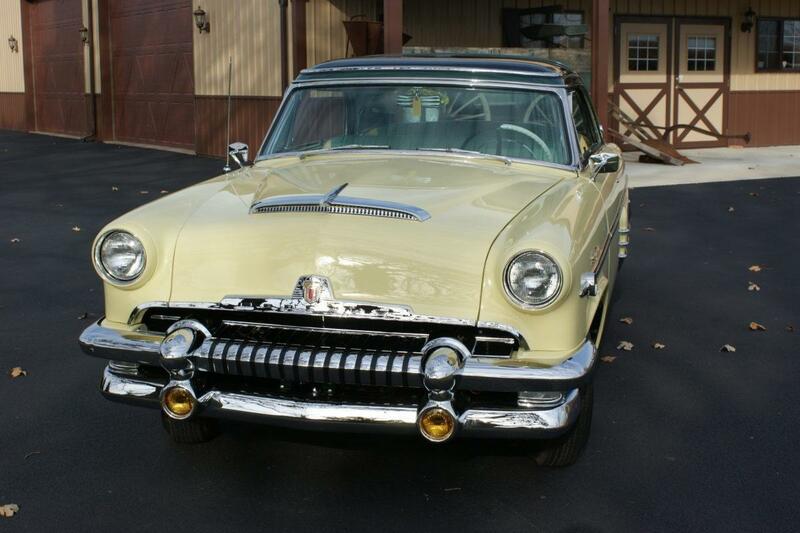 Rear Leaf springs along with additional body insulation gave the overall package a crisp luxurious feel appropriate to the upscale Mercury brand.